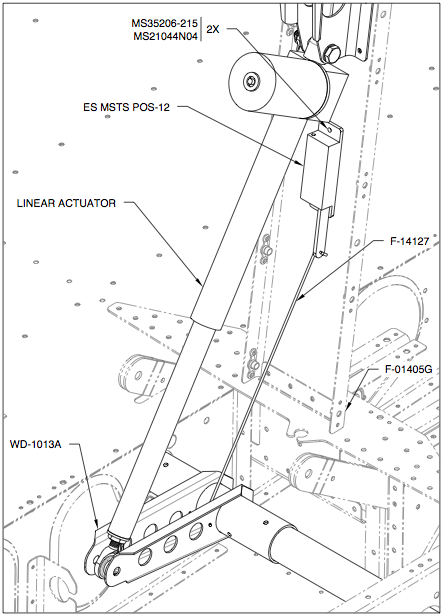 The audio alert indicator is attached to the forward bottom side of the vertical stabilizer. First a template is made to indicate the proper location for the holes (left), then it's match drilled into the VS-705 Nose Rib (right). The indicator is then wire-tied in place. Incidentally, I considered placing the indicator up front behind the panel (it's easy to do without additional wires), however I chose to stick with Van's intended location. The P725 and TP724 wires from the harness (installed in Section 10, page 10-25) are soldered onto the ELT female DIN connector (left) and insulated with both heatshrink tubing and TV sealant (right). An additional pigtail is attached for later GPS RS-232 data verification. 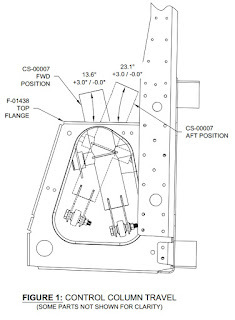 The F-01414 Aft Deck has been provisioned with holes for the ELT's E-04.4 Mounting Tray. It's a practice in contortionism to screw the four screws into their nuts, but it can be done. The antenna was later installed when the rear window was installed. Fun Stuff: Number of rivets in all kits. 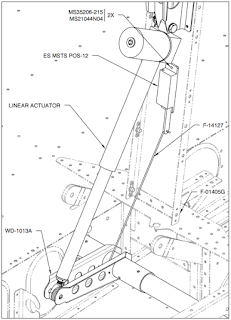 I counted the rivets called out for in the FWF plans and updated the chart on the lower right of the blog's main page. 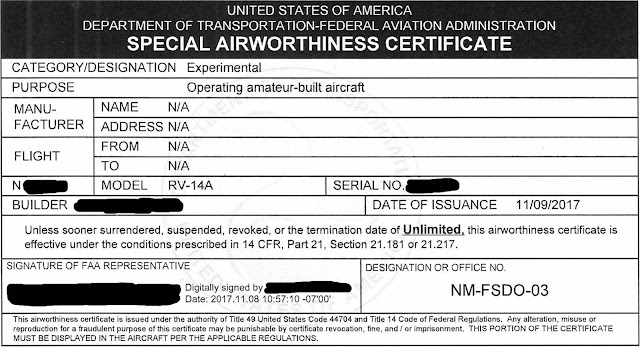 Here is just the final RV-14A rivet count. Van's provides a quick kit for installing a flap position sensor. The sensor will work great with my GRT HXr EFIS with the two being easily connected. I already had the Ray Allen POS-12 (available from Aircraft Spruce) as I was planning to replicate an approach recently posted on VAF. 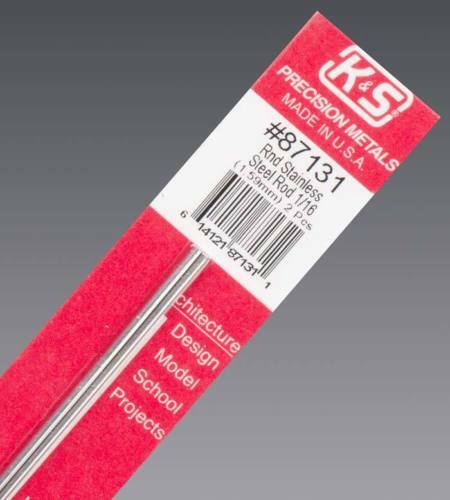 The steel rod that came from Van's was bent during the shipping process, however I happened to have a twin pack of 1/16" stainless steel rod from K&S, part #87131 (which can be found on eBay for less than $4, shipped). The remaining parts in the kit include the Molex micro-plug, pins, plastic tube for bushing, screws and nuts. The pushrod is cut and bent to plan (I should have put a ruler in that image - the pushrod is about 8 inches long). 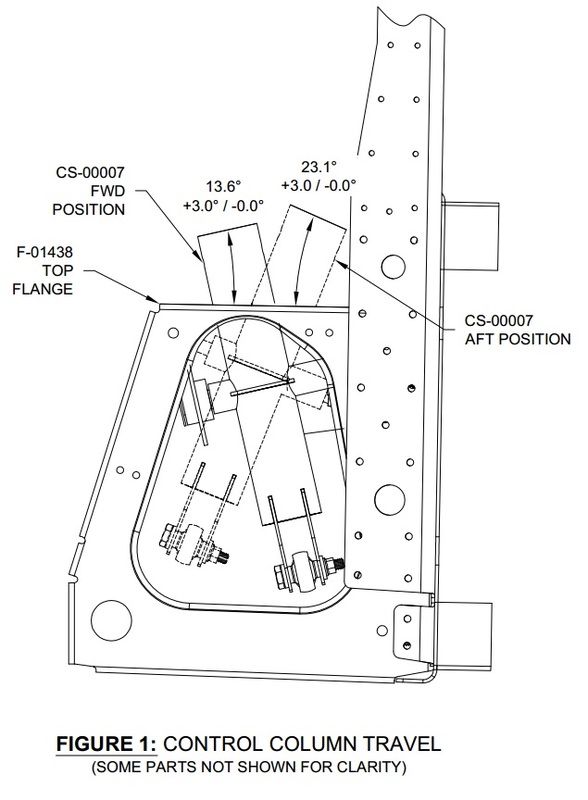 The F-01450F Flap Motor Channel has two holes in its web specifically for mounting the sensor. After removing, drilling a hole in and reinstalling the WD-1013A Flap Crank to accept the pushrod, everything is installed. 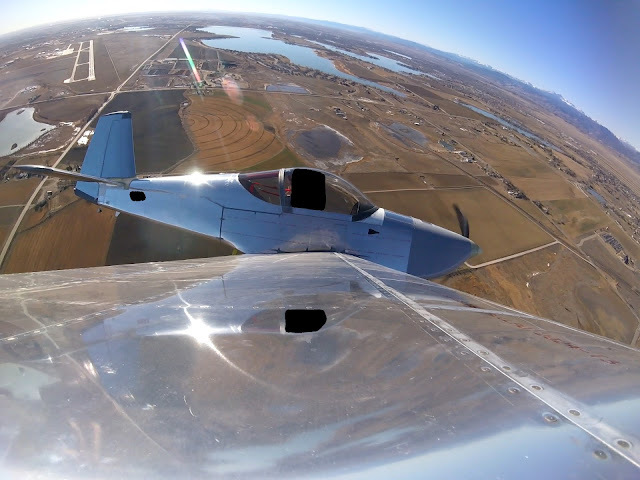 Here is a video in operation, flaps down (or is it up?). About 12 seconds, stop-to-stop. And now the sensor awaits its mating to the EFIS. A future post describing that process is forthcoming. FWF: Firewall forward kit ordered. Fuselage: Aileron and Elevator Systems. Control columns in. This post is delayed due to my researching a good way to grind/sand the control stops. 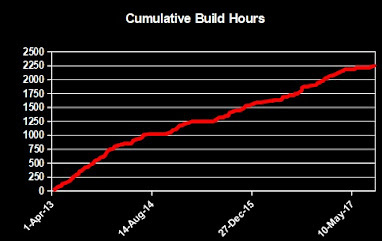 The work in this post was mostly completed in November. For the control columns, we're directed to line up the CS-00007-L/R bases to the CS-00008-L/R with a digital level, then use a "dab of superglue" to hold the parts for match drilling. After letting my dab cure for a day, as soon as I picked up the adhered assemblies, they separated. So, I used the superglue completely around the joint between the parts and let that cure for day. Let me assure you, those parts were now locked together. Then, with generous Boelube usage, the match drilling went without a hitch (below) Afterwards it was easy enough to break the superglue bond with a few light taps on one of my EAA Chapter 1000 benches. For placing the CS-00004 stick link pushrod, a number of washers are required (left). The inner ones are a challenge to place, as you can imagine. A builder suggested I superglue them to the bearing on the pushrod (right). Seemed like a great idea. But as soon as a shearing force was applied during placement, the washers fell right off. So that didn't quite work out for me. Searching around, so as not to reinvent the wheel, yielded this little gem of an idea. I was able to fashion that with some scrap (left). And using this tool, the washers were placed with ease (right). 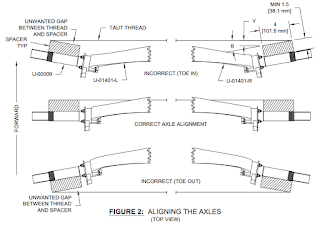 The next challenge was filing down the stops to meet the deflection criteria on page 36-13. ...though at times using this gentle "grinder-on-a-stick" on my Dremel helped too. The left image has the grinder oriented on the top stop, whilst the right on the bottom stop. These demonstrative images were taken after I was done grinding the stops, hence why the control columns are in. I also found it useful to have a small vanity mirror positioned below the bottom stop to help me stay on target with both the Dremel and the rifflers. The sticks are in awaiting their control shafts/grips. My GRT pitch servo has been installed. It fits into the F-14184 AP Pitch Servo Bracket perfectly. 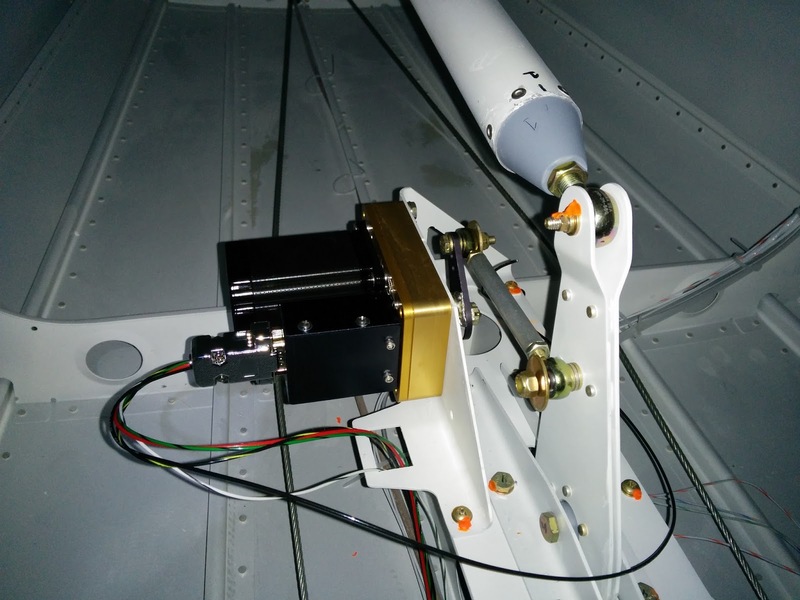 Initially, to make putting on the safety wire much easier, I pulled the AP Pitch Servo Bracket out of the tail and installed the servo on the bench. Proud of myself, I quickly learned that two of four AN515-8R8 screws that hold down the bracket were no longer accessible. So, if you install a servo into your build, just crawl in the tail and put it in directly. Fashion a grommet for the wires where they pass through the square hole for the Molex connector (the latter of which is for Dynon/TruTrak servos). Set pushrod travel distance and stop-to-stop angles. 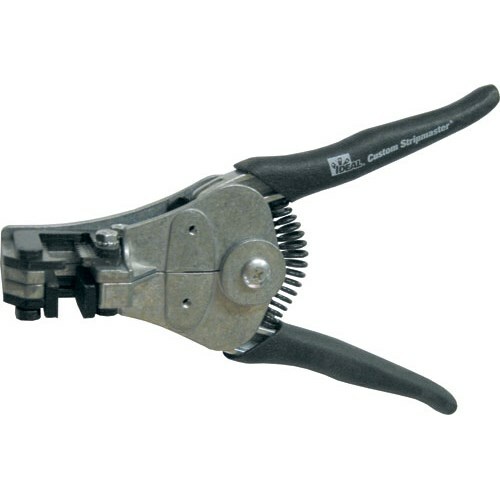 Shop/Wiring: Bought a wire stripper. I have wire strippers, however they aren't very effective at cutting through tefzel insulation. So I decided to buy the right tool for the job, an Ideal 45-177 Stripmaster. 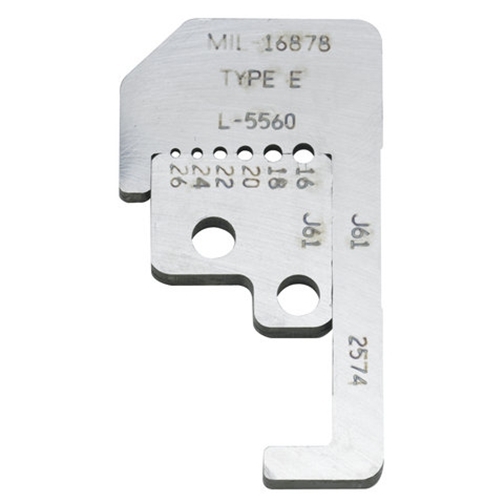 It comes with the L-5560 die-type blades for cutting #16 to #26 AWG wire, which is exactly what I need. Prices new vary from $160-$200, however, it can be found on eBay for much cheaper than elsewhere. This tool is glorious: Cuts tefzel wire great and has made my panel wiring a much simpler affair. 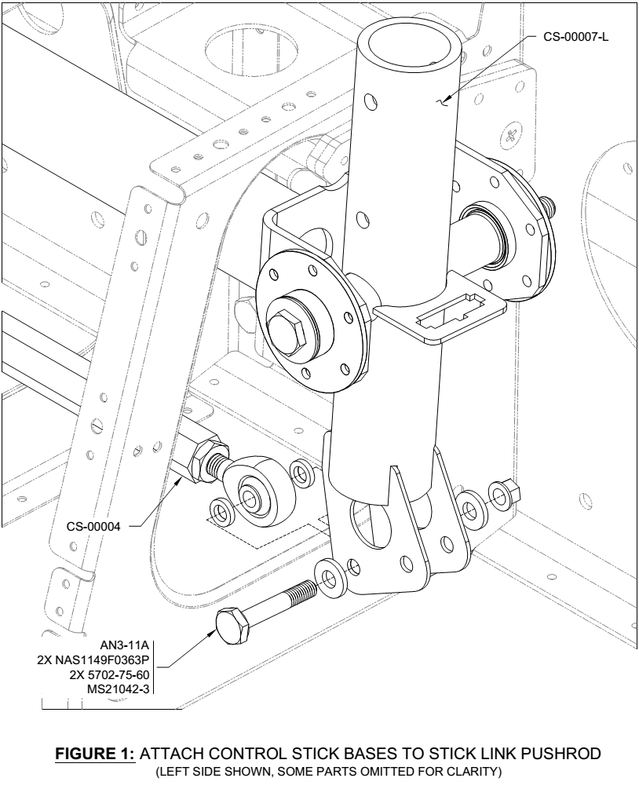 Finish: Tricycle Landing Gear and Engine Mount. Wheels and brake lines on. This was a satisfyingly quick set of tasks. 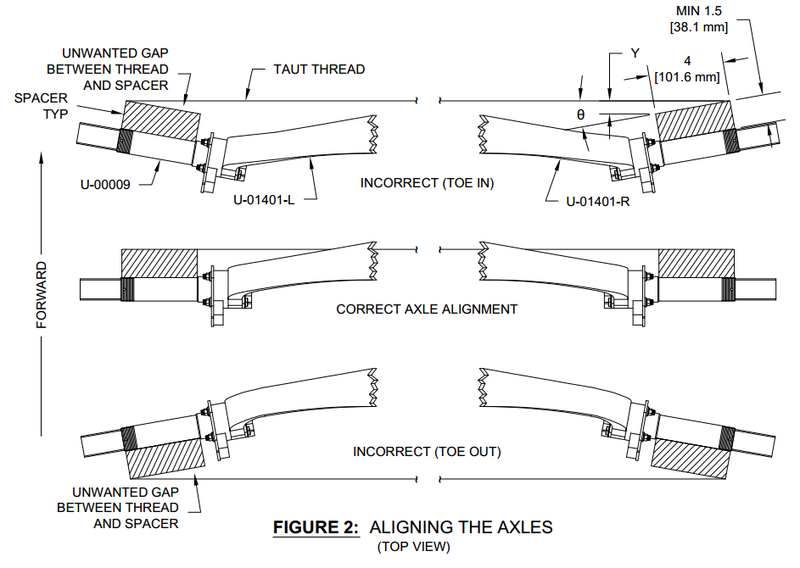 The axle toe is first measured using a simple geometrical technique excellently described on page 40A-08. The wood blocks must first be aligned (left), then the thread is attached and pulled taut (right). 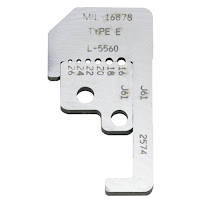 The gap is best measured with the feeler gauge (be sure to keep any tape outside of the gap to be measured as the tape thickness will cause inaccurate measurements). I found my build had toe-in on both sides: 0.32° on the right and 0.1° on the left. I obtained Grove's 0.25° shim part 06-00925 (500x5) from Spruce to adjust the right side. This should leave me with toe-in 0.07° on the right and 0.1° on the left. Next the wheel bearings needed to be packed. There's no need to spend more money to buy additional tools. Youtube abounds with videos demonstrating how to manually do it: Here is a video that does a fine job. I didn't take pictures during the process, as I favored packing the bearings rather than my digital camera. 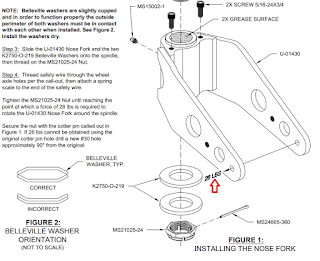 Next, the giant MS21025-24 nut must be torqued so that the U-01430 Nose Fork moves at 26 pounds of force, as illustrated on page 40A-07 (left). That nut requires a 1.75" jaw wrench or socket. Though I'm generally not a fan of Harbor Freight products, this cheap socket set fit the bill and worked great (Harbor has an ever-present 20% coupon, which knocks $12 off). To measure the 26 pounds, I snagged a cheap fishing scale from Amazon (right). I described in a previous post why I went with the Matco axle for my nosewheel. The axle is shown on the left and placed in the wheel, on the right. 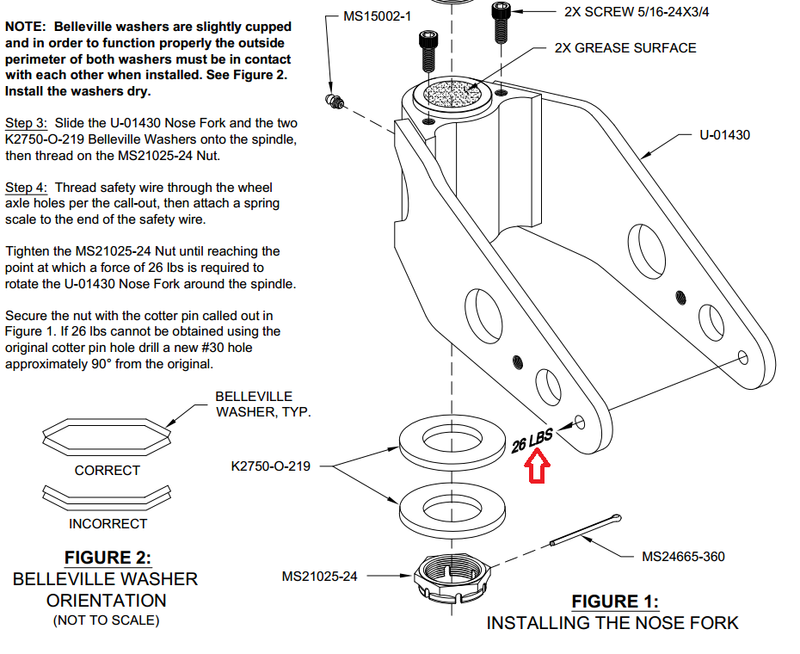 As another builder explained on his site (about 1/3 down that page) and on VAF, when using the Matco axle, there is no need to drill the Nose Fork for the anti-rotation bolt (it would anyway later interfere with attaching the fairing bracket). The reason being that the Matco axle allows for the bolt holding the axle to be fully torqued to spec, unlike the Van's axle. The wheels can then be mounted. And finally the brake lines can be cut, bent and installed. 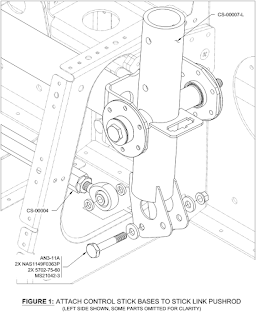 The left wheel and right leg are shown below (I may need to rebend the lines when the fairing brackets are installed in Section 46A. The plans call for "friction tape" to hold them in place. I had to educate myself on what that was. I decided to purchase 3M Temflex 1755 Cotton Cloth Friction Tape from Amazon and will install it when it arrives. So Section 40A is complete once I safety wire the brake caliper bolts.